Sound healing is not an invention of this century. It is an ancient tradition being rediscovered in this new paradigm of Science, Medicine and Technology. In Sound Healing, Sound is used to create a therapeutic state within the mind, so that the body's self- healing capabilities kick in to promote health. This in turn brings the mind to a place of well-being, and re alignment which is vital for healing the body and mind. Sound is the beautiful friend who puts us in touch with the Divine. So, why not befriend Sound? Science has proven that, at the fundamental level of existence everything, from the tiny particle to the most awe inspiring galaxies of the universe, and everything in between, is in a state of perpetual vibration. Everything that is vibrating, has a frequency, (the rate at which it is vibrating) and thus will be giving off energy. All that vibrates, then, makes a sound. Sound is the basis of the universe. Through the principles of Intention, Resonance, and Entrainment, the vibratory frequency of all things can be influenced and changed. Sound travels at different speeds - in water around 3319 miles per hour. Human body is made up of 70% water. 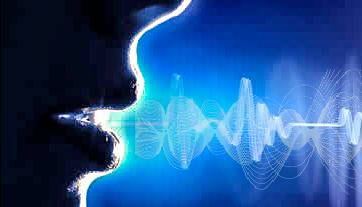 Imagine, then, how well sound can transmit in our bodies! Every organ in our body has its own unique resonant frequency. When one organ gets out of sync, out of harmony, it affects the entire body. The body remains in a state of dissonance and out of balance. When sound is played or applied to the body, through the principle of Resonance, harmony is re-established. ​What does it do For Me? reduces inflammation, improves sleep, increases cognitive sense, endurance, and gastric motility. At Healing Nada, Toning is an essential part of a body alignment and balancing session. We offer one on one session as well as group toning sessions. With group toning, one begins to enter the world of overtones and harmonics when multiple voices join in the toning. It is an amazing experience. Toning is a practice where one's own voice is used to make, usually the vowel sounds. This creates certain frequencies or vibrations within the body. The etheric centers (vortices of conentrated energy) otherwise known as Chakras, are usually resonated by each of these vowel sounds. Using our own voices, the body can be tuned, to bring balance and well-being. Please come and join us to experience the amazing power of your voice. Tuning Forks for a healthy Body, Mind and Spirit. Experience healing, enhanced Body, Mind, Spirit connection with tuning forks. Sessions are customized for your needs to improve your mental clarity, energy levels, metabolism, immunity, and sleep quality. ​Tuning Forks are both scientific and musical instruments. They are tuned to both scientific and musical frequencies and when used in certain combinations to the body, mind, spirit continuum, they help clear energetic blockages within the Chakras, meridian, and the energetic systems of both physical and etheric bodies. This applies to all life forms be it human, animal or plant life. Each tuning fork summons a resonating response to the harmonic frequencies of the various organs of the body, and emotions. ​Resolve Conflict, Clear emotional blockages and Create the sacred space within with a session of Immersive Gong Sound Healing. 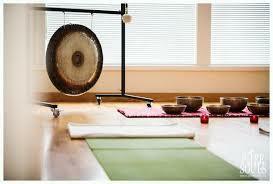 Immersive Gong healing sessions release feelings of depression and anxiety. providing an easy shift in your awareness with a deep sense of relaxation. A typical session of Immersive Gong will begin with a guided meditation while the client lies, very comfortably, on a cushioned mat, fully supported for maximum comfort. As the Gong begins to sound, ever so softly, frequencies from the Gong travel the space and reaches your vibratory field to immerse you in a cascde of pure frequencies. The healer within steps up to recharge, rejuvenate, rebalance the physical, emotional and mental aspects. Come prepared to be blown away in a mind-altering, dynamic experience designed to soothe, heal, inspire, and awaken your spirit.